The perfect solution for organizing and protecting valuable maps. 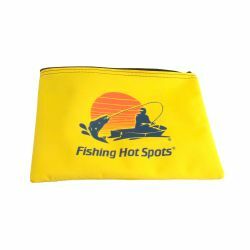 Ideal for anglers, boaters and hikers. 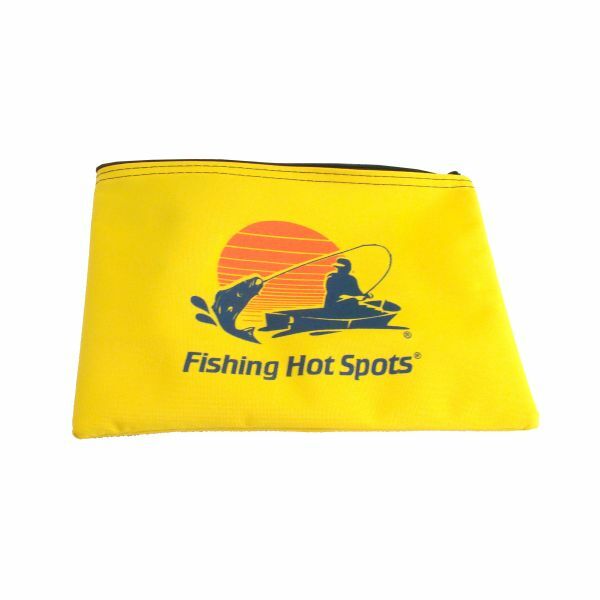 This zippered pouch is constructed of tough, weather-resistant fabric highlighted with the colorful Fishing Hot Spots logo. Color is yellow. SHIPPING NOTE: This item may take approximately two weeks to be delivered.